Asphalt Services Inc. has the experience and professional staff to handle all of your commercial paving projects, big or small. We offer a high quality, long lasting product at an affordable cost to our clients; plus, we minimize disruption and can work in stages throughout the project, so that your employees, apartment tenants, delivery drivers, and customers are not inconvenienced. With over 30 years experience providing asphalt solutions to top commercial clients including Staples, Stop & Shop, Walmart, and Dunkin’ Donuts, among others, we can guarantee the highest quality results. 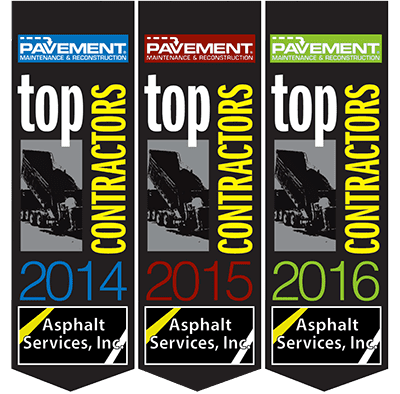 Check out our gallery to see why we’ve been named one of the nation’s top paving, sealcoating, pavement repair, and striping contractors for three years in a row. When you’re done, contact us for a free quote.